Historic Devastation in Japan After Quake and Tsunami: What Next? While it’s true we do not focus on world news here, it is impossible to overlook the devastation ongoing in Japan due to its historic proportions. I thought some of our readers might be interested in some of the information I pulled up throughout the evening Friday. Our friend Sandra Crosnoe found a video on YouTube taken by a fellow living in what was formerly a part of Tokyo Bay as the quake was happening. Reportedly there were volcanic eruptions in Russia occurring at the same time as the Japanese quake. There has been an increased amount of seismic activity (formerly/http://neic.usgs.gov/neis/qed/) in the Pacific recently; on February 22 there was a 6.3 quake in Christchurch, New Zealand that killed 150 people, just seven months after the September 2010, 7.3 quake. A map of the Australia Region shows ongoing activity. 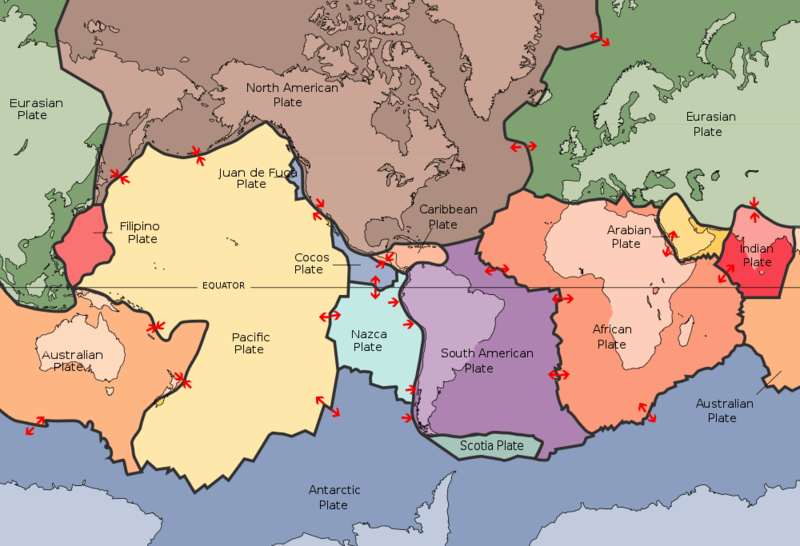 I had looked at a tectonic plate map at that time, noting that a fault line runs directly through the island group. With the quake in Japan, I looked once again at a plate map. I had no recollection that Japan and America sit on the same tectonic plate. This Wikipedia page lists all of the known earthquakes in recorded history, with the default view listing the events by date. Some of the columns include a small button that allows the viewer to sort by order, including the column listing magnitude. The quake in Japan, now known to have registered at 9.1, is the fourth largest quake in record history. A review of the seismic activity map to which I linked above (in the Pacific) shows that the aftershocks are continuing to register in the 5 – 7 magnitude range. The devastating 2004 earthquake and tsunami in Indonesia was 9.3. This article on CNN reports preliminary evidence that the quake may have caused a shift of the main island of Japan by as much as 8 feet. In some areas the waters from the tsunami are not receding. Currently, the biggest concern is the explosion of a nuclear reactor nearest the site of the quake. This article on R3publican has a video about the explosion in their report on the quake. Considering the amount of seismic activity in the Pacific and that Japan is on the North American plate, I am wondering how the upheaval might impact America’s west coast, especially the very active area around the San Andreas fault. In the meantime, these kinds of questions pale in comparison to concerns over the devastation in Japan and my prayers go out to the people affected there.